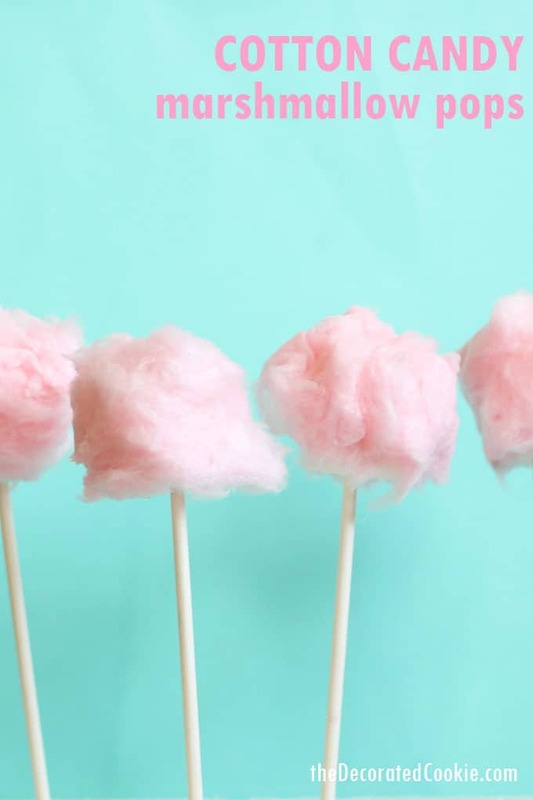 Cotton candy marshmallow pops look like miniature versions of the carnival stuff. But they only take minutes to make. Need some sugar with your sugar? 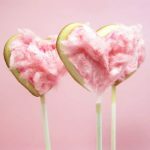 Ever since these warm and fuzzy heart cookie pops, I’ve been wanting to make more cotton candy-themed treats. For real. 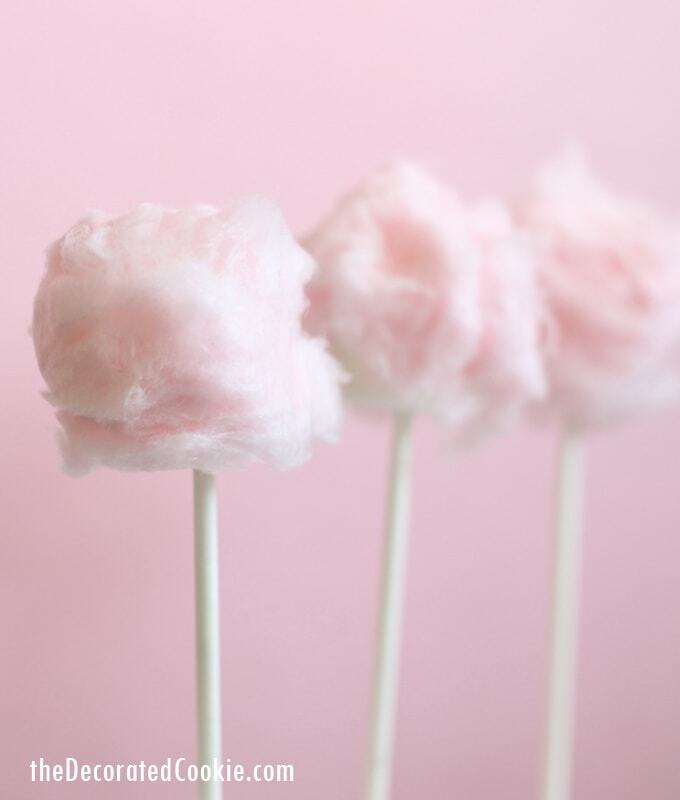 But cotton candy is tricky to work with since it dissolves when in contact with pretty much everything edible. But sticking cotton candy to marshmallows? It works. 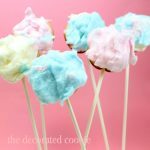 And why in the world didn’t I think of cotton candy marshmallow pops sooner? 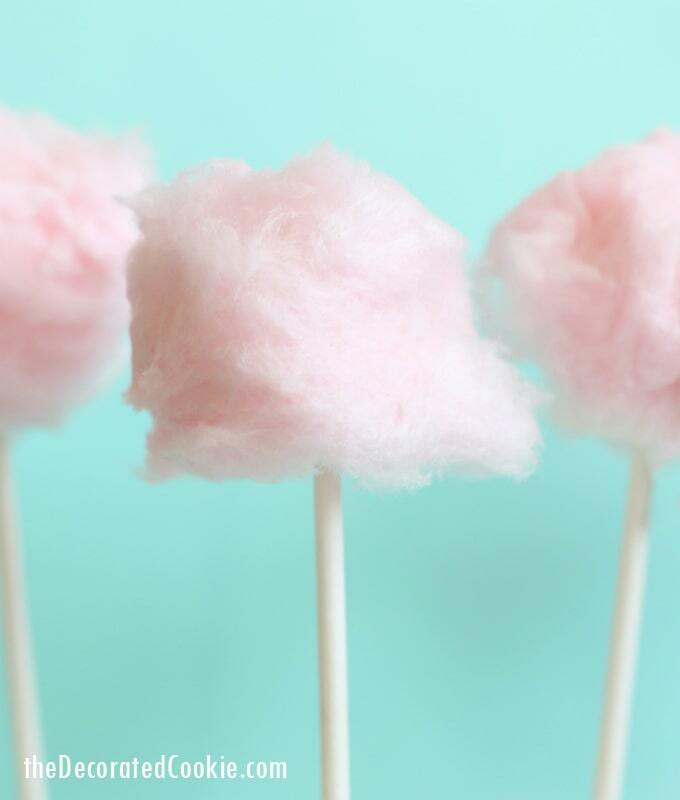 The cotton candy will dissolve if left overnight, so I’d suggest making these the same day you serve them. When I used fresh, just-opened cotton candy, my pops lasted for hours. That said, these take about five minutes to make. That’s it. So you can make them pretty close to serving without much effort. So if you’re worried about the candy dissolving, make them close to serving. Also, be sure to have a way to prop them up. A Styrofoam block (available at the craft store) works best. Such sweet and fuzzy cuteness. For Valentine’s Day perhaps? Or a backyard bash? Or for your own carnival, these are a easier than buying or renting a cotton candy machine. 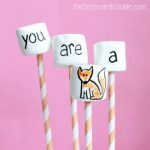 To make cotton candy marshmallow pops, skewer marshmallows with lollipop sticks. With a small, clean paint brush (or even just your finger), dab light corn syrup on the marshmallow. Don’t coat the marshmallow, just dab it strategically around the sides and the top. You won’t need very much, just a few dots scattered. The less syrup, the less likely the candy is to dissolve. 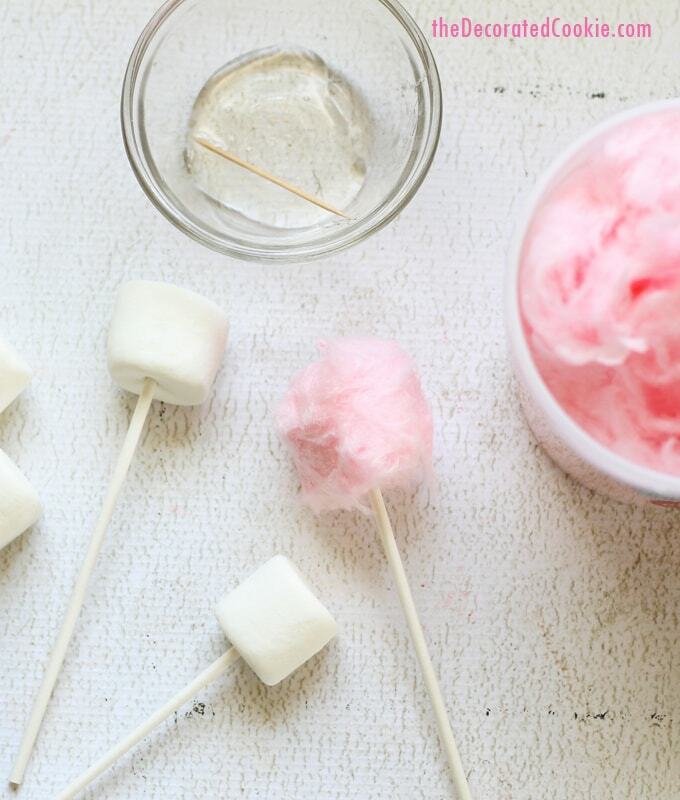 Wrap tufts of store-bought cotton candy around the marshmallow. I found my cotton candy at Target. Then, prop the pop in a Styrofoam block. Thanks for this great idea. 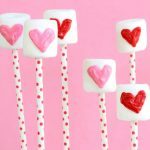 We’ve been trying to find a way to make cotton candy pops using “bling” cake pops for my daughters sweet sixteen party. With this idea we don’t need a machine or any extra equipment to make the cotton pops. You slay! Woohoo Yvonne! So easy, too. Just remember to make them the DAY OF (which doesn’t take long) since the cotton candy will start to disintegrate over time. Okay, needed a solution because I just had to have cotton candy at my daughters birthday but couldn’t handle the whole cart etc. This is awesome, really hoping I get to do this!